Professor Emeritus, former Dean of Medicine, and Canadian Medical Hall of Fame inductee, Dr. Thomas John (Jock) Murray, narrates the history of Dalhousie's Medical School, since 1868 - 50 years after the founding of Dalhousie University. 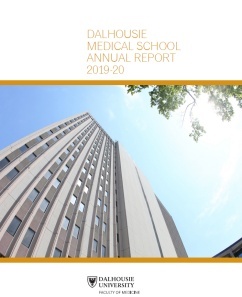 It's been a busy and productive year at Dalhousie Medical School, and we are proud to share some of the many highlights and accomplishments achieved by our talented and dedicated faculty, students and staff. As you will see through our shared stories, we continue to build on the legacies of many, with unprecedented growth and success in every aspect of our mission to inspire and enable excellence in health care throughout our medical education and research programs, and to serve and engage society. Be part of a vibrant research community that attracts brilliant minds from around the world, and receives annual funding of $68 million. 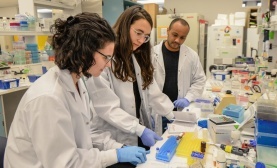 Dalhousie Medical School has announced its leading research teams and strategic research priorities, following a months-long application and review process known as "The Wave." Explore Dalhousie's MD program through a wide variety of electives. Med grad Allan Kember completed his global health elective in Ghana. Find your international learning experience through our Global Health Office. Use state-of-the-art technology to connect with teachers and fellow students, as you study in communities in Nova Scotia, New Brunswick and Prince Edward Island. 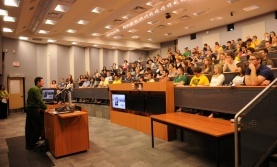 We offer some of the most advanced medical and research education programs in Canada. From our MD program, through our graduate studies, residency training and continuing professional development programs, we apply the latest in evidence-based education practice. 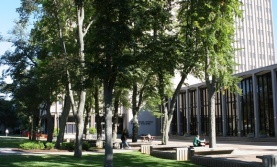 Dalhousie Medical School plays a vital role in the health and wellbeing of communities. 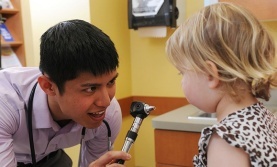 Our students, residents, faculty and staff are actively involved in partnerships and programs that build connections with and provide meaningful benefits to the communities we serve. We are home to a vibrant, innovative, collaborative research community that’s making an impact on the wellbeing of individuals and communities in the Maritimes and beyond—while providing excellent training opportunities for medical students, residents, graduate students and fellows. #DalMedForward represents a new strategic direction for Dalhousie University’s Faculty of Medicine.This five-year strategic plan is a framework for prioritizing initiatives and allocating resources throughout the medical school.